Anheuser-Busch InBev is a publicly traded company (Euronext: ABI) based in Leuven, Belgium, with American Depositary Receipts on the New York Stock Exchange (NYSE: BUD). It is the leading global brewer, one of the world’s top five consumer products companies and recognized as first in the beverage industry on FORTUNE Magazine’s “World’s Most Admired” companies list. Beer, the original social network, has been bringing people together for thousands of years and our portfolio of well over 200 beer brands continues to forge strong connections with consumers. We invest the majority of our brand-building resources on our Focus Brands - those with the greatest growth potential such as global brands Budweiser®, Corona®, Stella Artois® and Beck’s®, alongside Leffe®, Hoegaarden®, Bud Light®, Skol®, Brahma®, Antarctica®, Quilmes®, Michelob Ultra®, Harbin®, Sedrin®, Klinskoye®, Sibirskaya Korona®, Chernigivske®, Hasseröder® and Jupiler®. Anheuser-Busch InBev’s dedication to heritage and quality originates from the Den Hoorn brewery in Leuven, Belgium dating back to 1366 and the pioneering spirit of the Anheuser & Co brewery, with origins in St. Louis, USA since 1852. Geographically diversified with a balanced exposure to developed and developing markets, Anheuser Busch InBev leverages the collective strengths of its approximately 150,000 employees based in 24 countries worldwide. 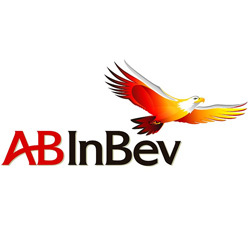 In 2012, AB InBev realized 39.8 billion USD revenue. The company strives to be the Best Beer Company in a Better World.